Mayo West Farm is a must see! 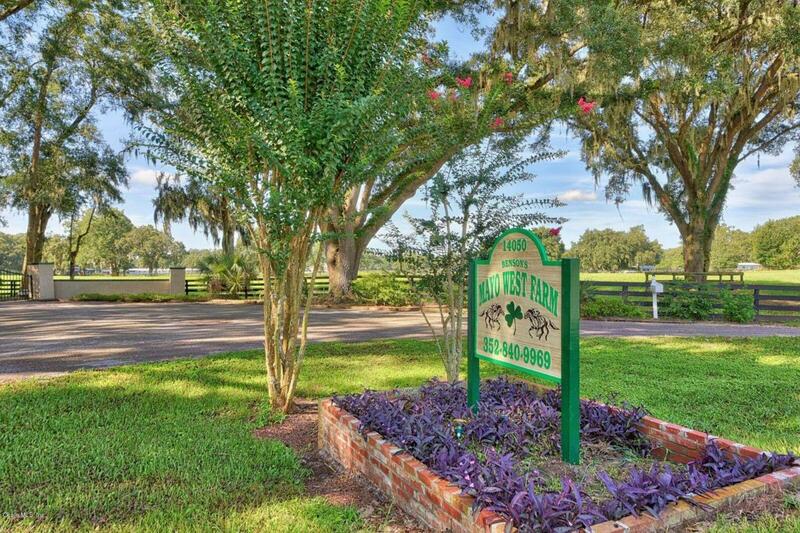 This farm is situated perfectly in Northwest Ocala and located directly across from HITS. 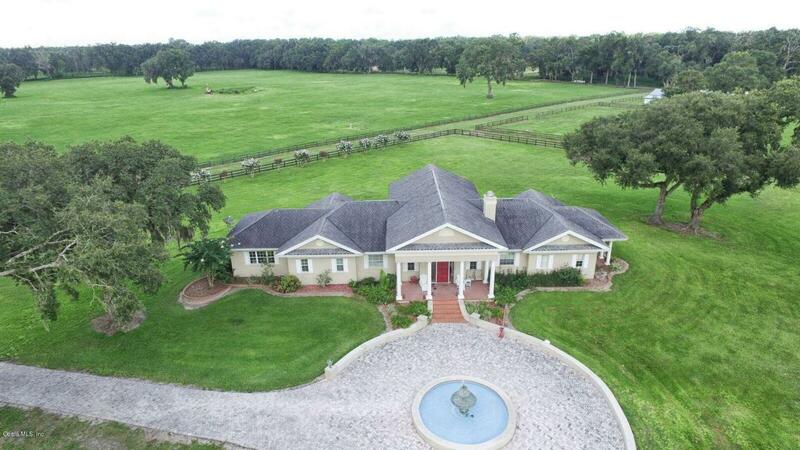 This 108.81acre training facility is ideal for any operation and includes a stallion barn, brood mare barn, equipment barns, approx. 30 turnout paddocks with automatic waterers, equine swimming area and track with starting gate. 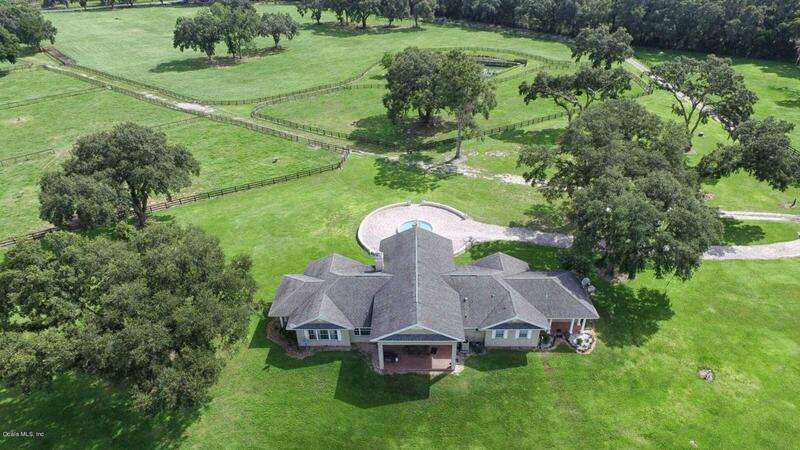 The large, lush pasture areas are also great for cattle or to create additional paddocks. 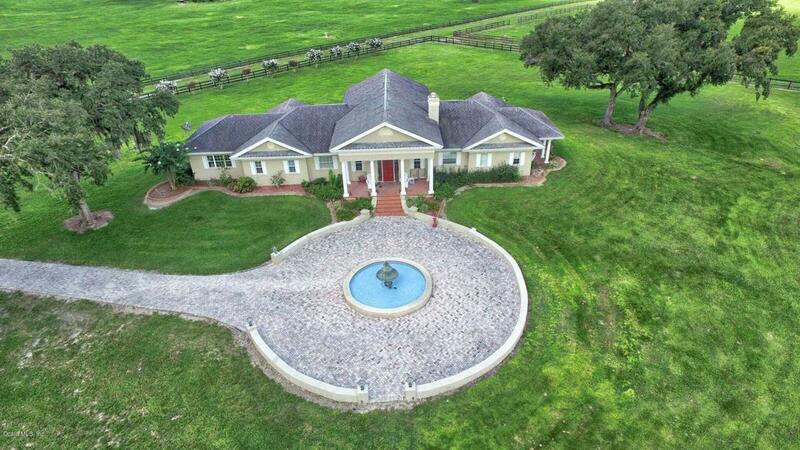 The 3,123 square foot main residence offers 4 bedrooms, 3 full baths and 2 half bath as well as a gorgeous circular drive and fountain. Home is very open and spacious and has a split floor plan with office. The many large windows provide natural light and an open view of this farm.